Hi fellow toaster lovers and greetings from Exit 0 in the Garden State! Who knew after 20 years in the corporate world, I’d find myself a landlord on wheels. What started as a mere suggestion from my best friend, has turned into the job of my dreams. 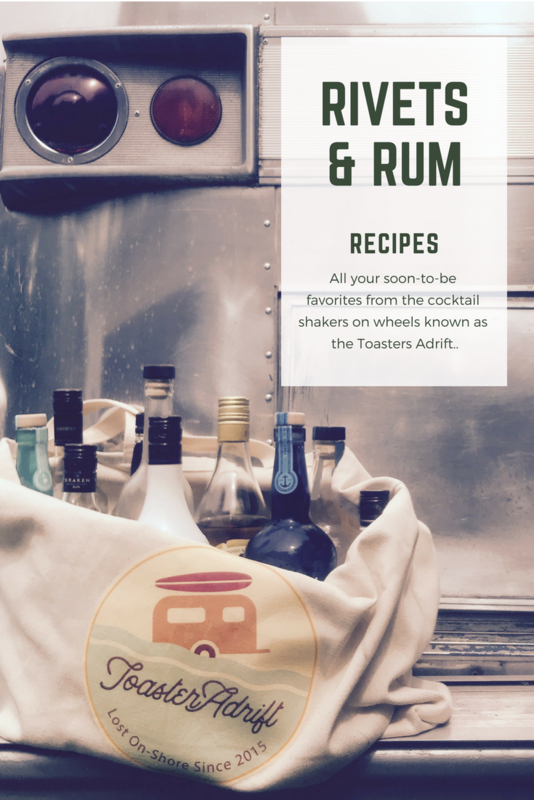 My Toaster Adrift Airstream delivery service is the only of its kind at the New Jersey Shore. 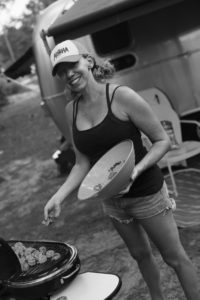 Jen Bell, is a business veteran with over 20 years of experience in business development, marketing strategy, digital intelligence and design. Included in her portfolio is contributing to the creation of the largest Harley-Davidson® roadside attraction in the country, as well as successfully marketing a national research university. She holds a Master of Science in Entrepreneurship and Innovation, as well as a BFA in Communciation Arts, with a specialization in Illustration and Photography. 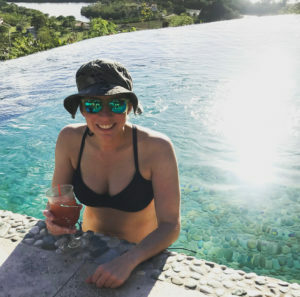 When she’s not busy hauling her trailers up and down the East Coast, Jen enjoys boating, making tropical cocktails, drinking wine, shorebird photography, drinking some more wine, and painting. Oh and when her Toasters are not anchored for customers, she enjoys being adrift with her own family and her two pups. Help Me to Build Port Toaster! 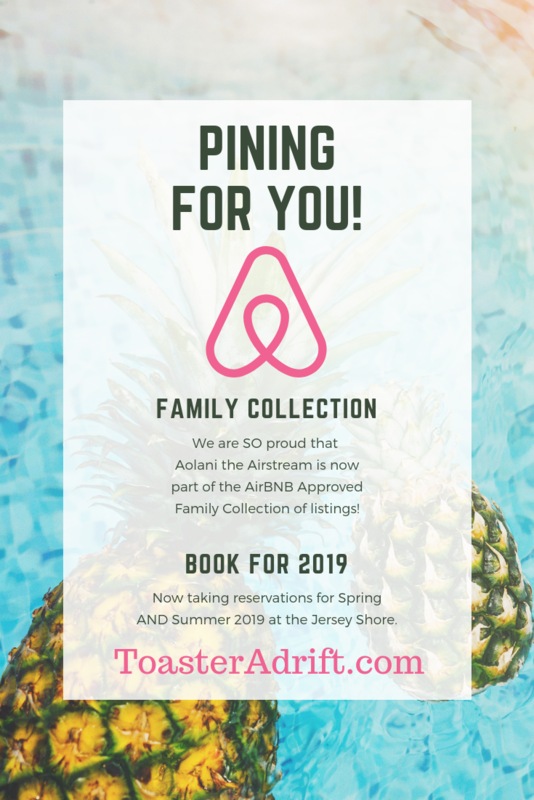 Port Toaster™ is the proposed Cape May County anchorage for 5 toasters formerly adrift. The resort will transport guests back to the 1960’s and the heyday of tiki glamp. 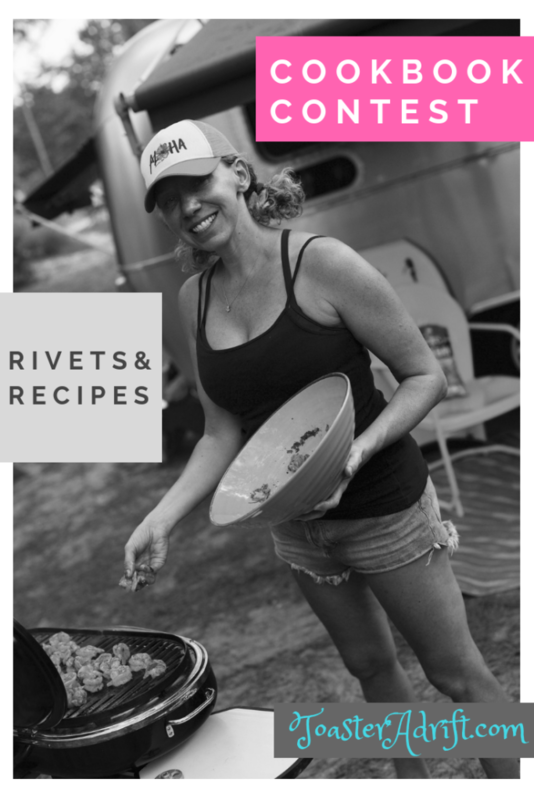 The property and the vintage Airstreams will be modern-day renditions of mid-century modern architecture and style, with the resort’s centerpiece being a pool worthy enough to host the Rat Pack. Visit Kickstarter to make your pledge or contact me directly regarding investing in my venture. Airstream really hit the rivet on the head when it came up with the Flying Cloud name line of trailers. To pay homage to the Airstream Flying Cloud, I appropriately christened mine, Aolani (ah-oh-LAH-nee). In Hawaiian Aolani means “beautiful cloud” and on the East Coast it means tropical cocktail shaker on wheels, lol. This silver clad hula girl can now be your beach getaway for a Summer rental! 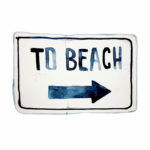 Simply let me know which coastal area you would like to visit. Aolani can drop anchor at the Southern New Jersey Shore in Cape May, any virtually any of the Delaware Beaches such as Cape Henlopen State Park or Delaware Seashore Park, and even the Eastern Shores of Maryland and Virginia in Cape Charles and even the Virginia Beac area (additional fees apply for setup in MD & VA). 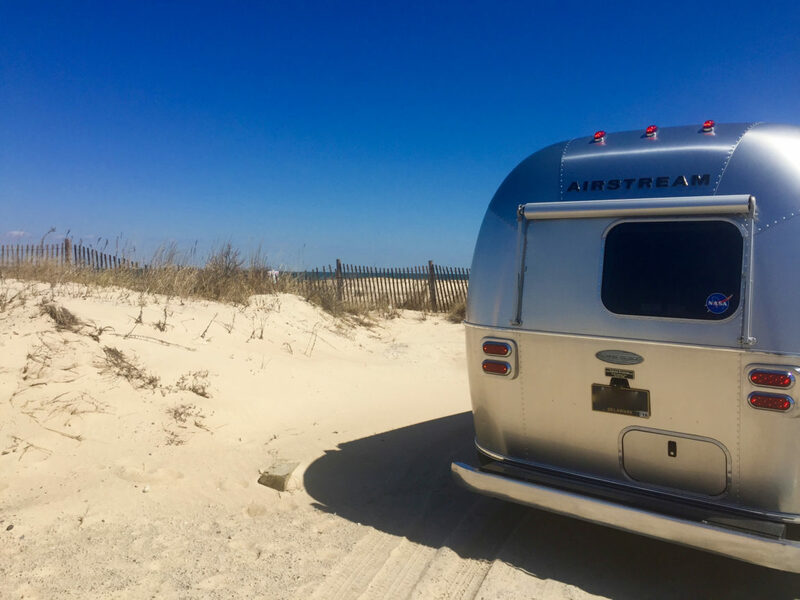 To date, Aolani the Airstream Flying Cloud has logged over 7,000 miles from New Jersey to Florida. Explore the blog to learn more about where Aolani has docked. You might want to be her guest on a future adventure of your own;) Booking her has never been easier at AirBNB! Visit AirBNB today to reserve Aolani. Alice Anne is the older, but much wiser and shinier of the two sisters. She recently arrived home, prepared to once again become the beautiful aluminum hula girl she is. Follow my Instagram account, as well as my blog, to stay up-to-date on her progress.